Feverish excitement this week as the nation’s youth, bless their little €11 Penneys wellies, get set for Oxegen. An early warning should be flagged here for any of them who’re lost and have accidently strayed on to the Looking Our Best blog – turn away now kids, for the grown-ups are in the It Was Far Better In Our Day zone. 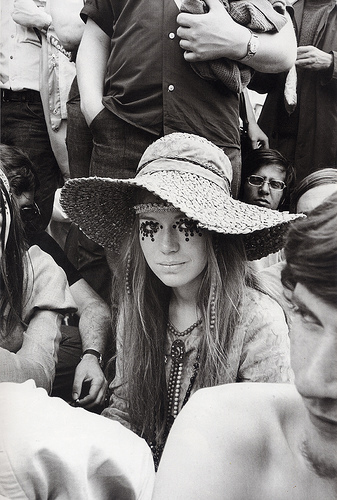 Those inevitable ‘festival chic’ features in the papers cast a nostalgic spell for us mid-lifers, especially when comparing the somewhat safe sartorial garb of today’s rock stars with their wilder predecessors. 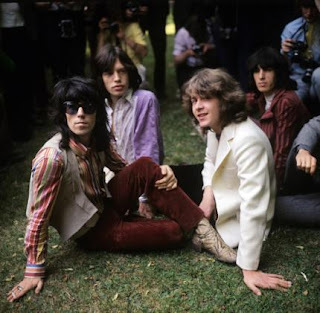 On the 5th July, 1969, The Rolling Stones held a free concert in London’s Hyde Park, and although Looking Our Best was barely out of ankle socks at the time and only saw the pictures on the telly, the images from that event fixed in her impressionable mind the conviction of the 60s as being dangerously glamorous. It wasn’t just the parameters of music and fashion blurring, but male and female dress –in this case, the white dress worn on stage by Mick Jagger. 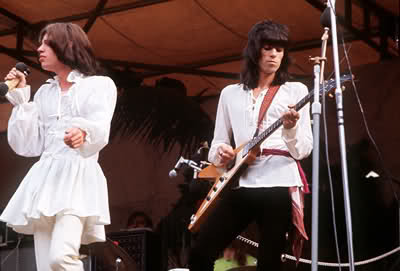 But back then, male rock stars (and their fans) strutting their stuff in frills and lace had become the norm. Men's fashion allowed for self expression in a fanciful manner probably not seen since the Regency era. Looking at last week’s Glastonbury festival, LOB’s abiding image of headliners is less of the colourful dandy but just Chris Martin in a sweaty old T-shirt and The Edge in his knitted monkey hat.‘Conventional’ is not a word often used in a sentence referencing rock, but contemporary bands, by and large, look quite conformist to baby boomer eyes. Fashion for the young in the 60s was like a religion, but one with a subversive edge to it – and no-one did it quite like their Satanic Majesties. 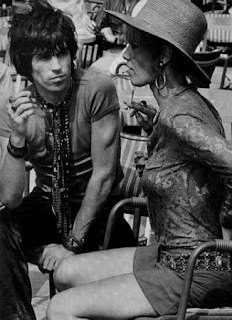 Though not exactly pretty, Mick and ‘Keef’ championed the whole androgynous thing without risk of running into an ugly situation. 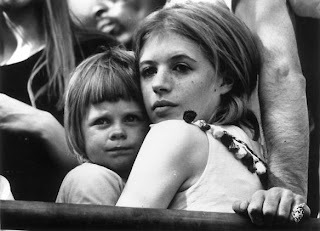 In their kaftans, floral shirts, floppy hats, scarves and jewellery , they gave girlfriends Marianne Faithfull (photographed at the concert with her son Nicholas, below) and Anita Pallenberg a run for their money. 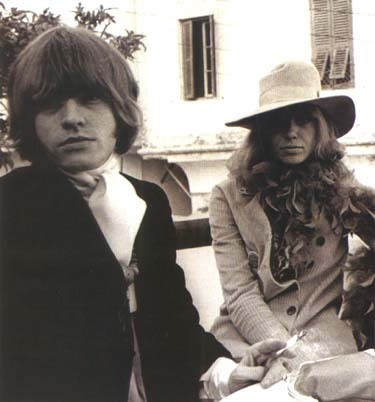 The rock star girlfriends in turn adopted the trend for wearing trouser suits – particularly favoured by Swedish fashion model Anna Wohlin (the then girlfriend of Brian Jones, and pictured here in Tangier, 1967 ).